When it comes to tackling gender as a subject in science fiction and fantasy, one approach has been to sort everybody out into single-gender societies. Whether we're talking about one of the earliest progenators of this approach, such as Charlotte Perkins Gilman's "Herland," or the kinds of worlds second-wave feminists built in "Gate to Women's Country," "Handmaid's Tale," and "Left Hand of Darkness," or perhaps even the weird gender-bending works by writers working in science fiction and fantasy today, such as "The Stars Are Legion" and "Ancillary Justice" and "Lumberjanes" and many others—no matter who we're talking about, there's much to be said. Join us for a tour of the three (or more?) stages of single-gender utopias and arguments about Alderman, Atwood, Gilman, Hurley, Leckie, Le Guin, Russ, Tepper, Tiptree, and ... Wonder Woman? Yeah, Wonder Woman! Questions are our forté: Who is writing these stories and who gets permission to make big science fictional or fantastical statements about the relationship between gender and society? What expectations and assumptions does a single-gender utopia lay bare? What happens when you take a binary understanding of gender *out* of the equation? And also, where are all the not-white people? Single-gender utopias seem to have some blind spots. We put big question marks around the words "gender" and "utopia" as we dig into this legacy novum of our favorite genres/modes/cats—so be forewarned, this episode gets very queer. Like our content or our new introduction? 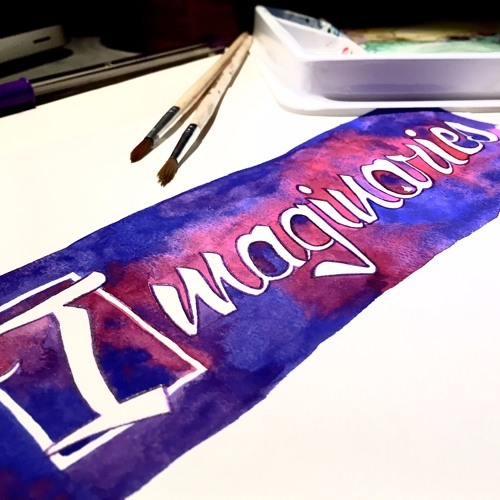 Our website is www.imaginaries.net, and you can drop us a line at imaginarypod@gmail.com or find us on Twitter at @imaginary_pod. You can find ALL of our back episodes on YouTube, and listen to our episodes on iTunes or SoundCloud. If you would like to help support our work, you can do so at www.ko-fi.com/imaginaries.